I have been a professional watercolor artist for over thirty years and an amateur bonsai artist for almost twenty five years. 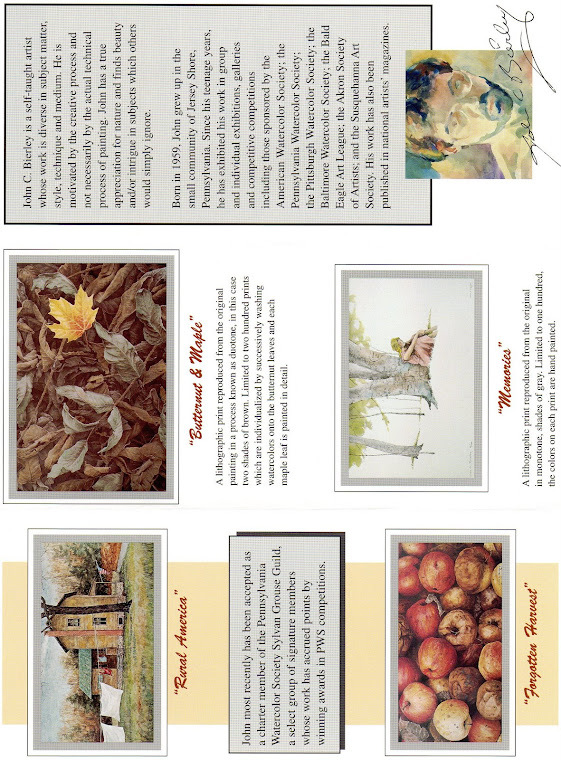 The purpose of this web page is to display and make available my work to anyone interested. 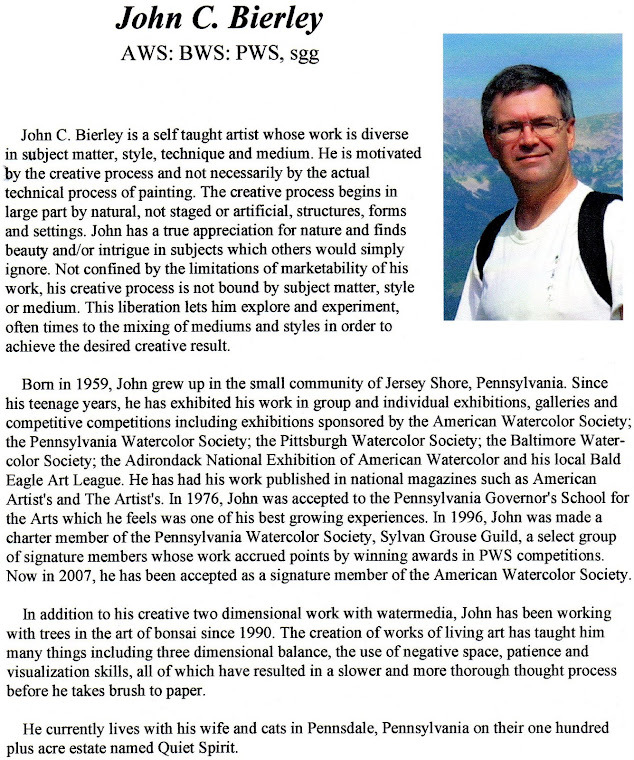 My paintings are done mostly for myself and for competitive exhibitions in regional and national shows. 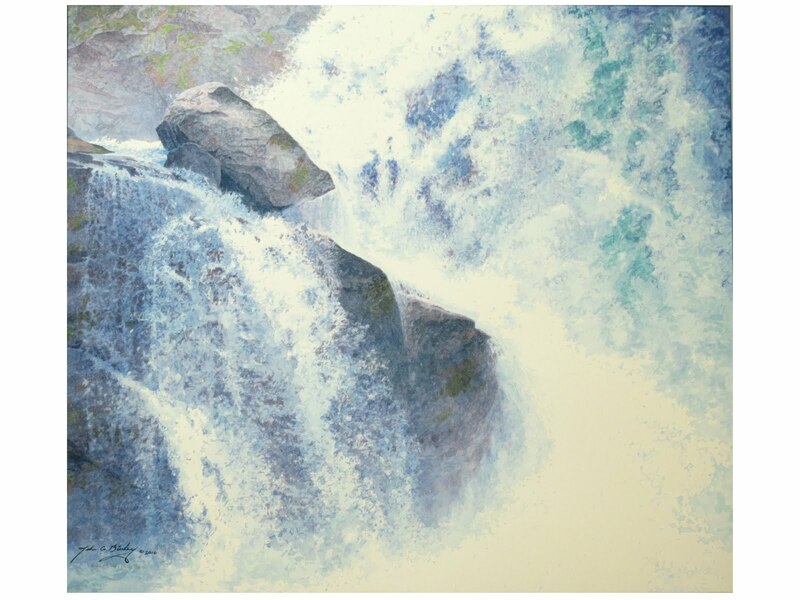 In 2007 I was accepted as a signature member in the American Watercolor Society. 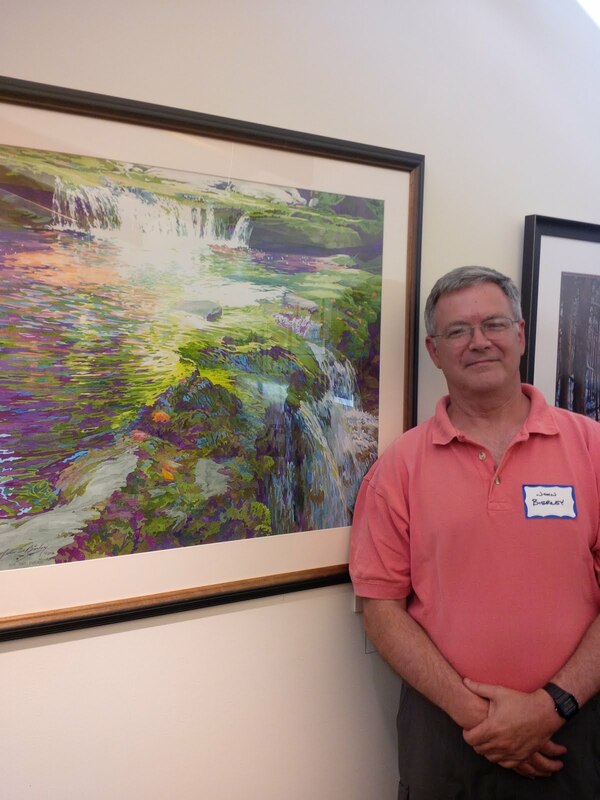 This is the most prestigious watercolor society in the United States and the greatest honor ever bestowed upon me. There are only five hundred signature members worldwide. My original paintings are generally not for sale. If I decide to part with one I will post a photograph and description with price. My prints are all still available and can be ordered by printing the brochure price list and mailing it to me with a check. 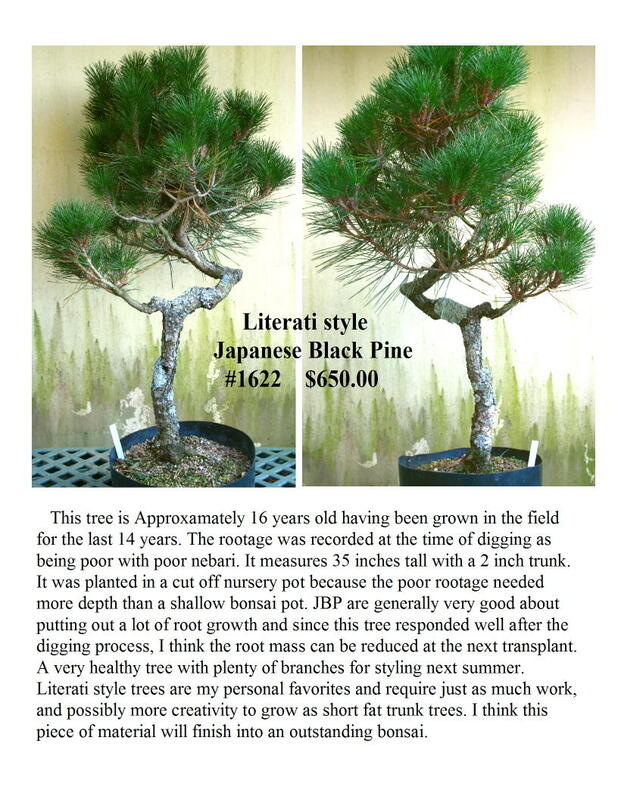 I started growing prebonsai material over fifteen years ago. 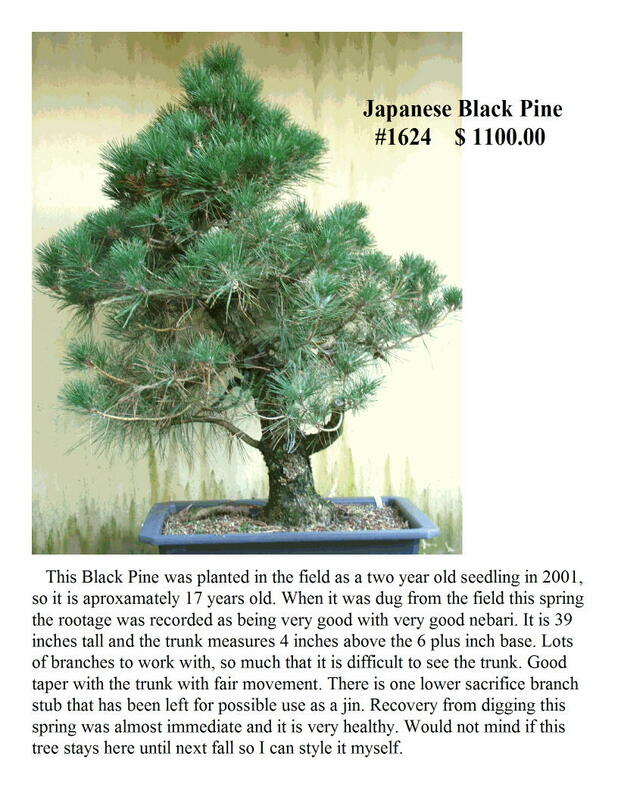 At present I am field growing scot's pine, japanese black pine, jack pine, cork bark japanese black pine ( corticosa ), wart bark japanese white pine ( ibokan ), and american larch. I also have some decidious material and collected material that will become available. 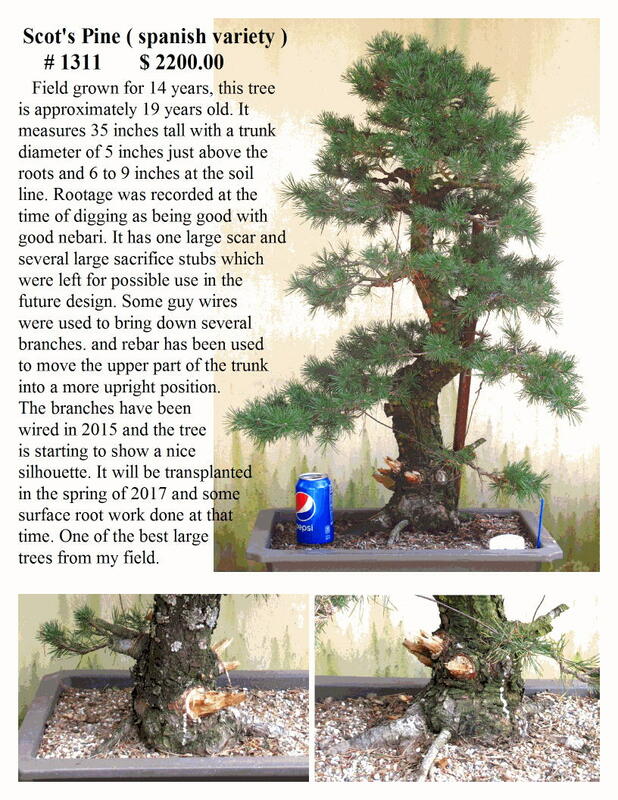 Some of these trees are now wonderful material for bonsai and I will be selling them via photos and descriptions posted below. I will not sell any tree that is not acclimated to potted culture. All trees will have been in a pot for at least one growing season. 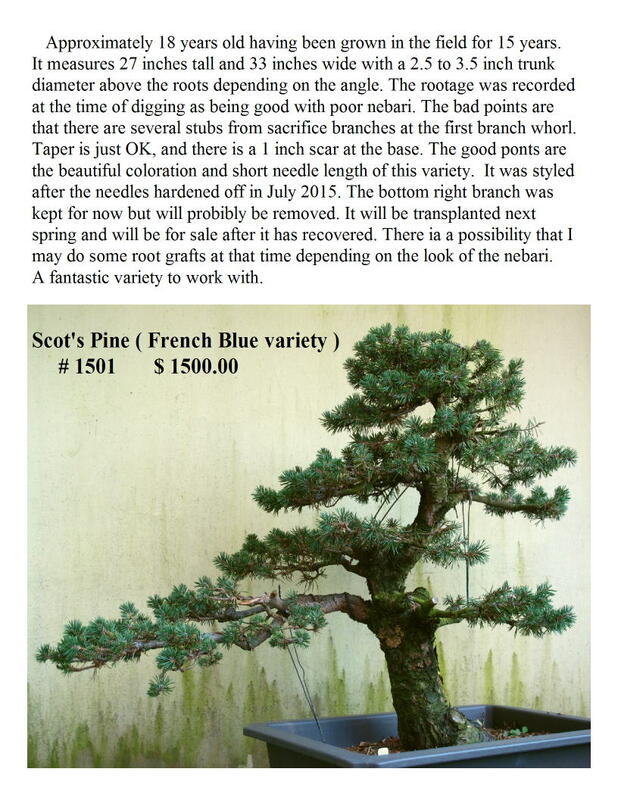 I will try to post several pictures of each tree and give as accurate of a description as possible. 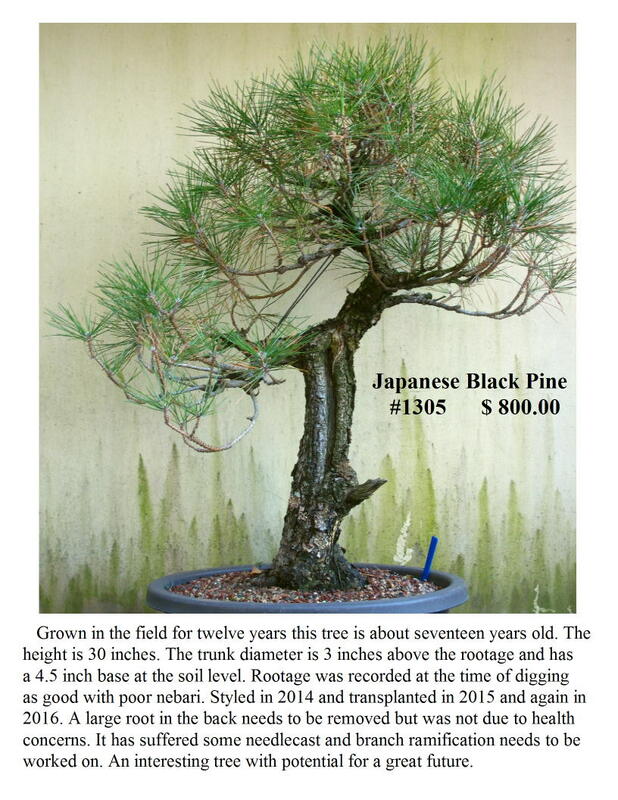 My preference would be for anyone interested, to view the trees in person before purchasing, but I will ship depending on location at the buyers expense. 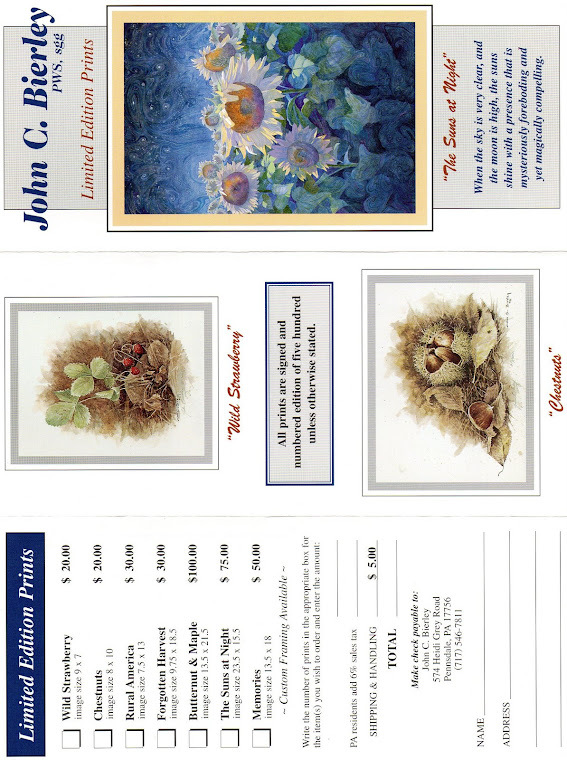 Any questions should be emailed to me at quietspiritarts@hotmail.com. New painting 2009 " Uno Rosso Molletta"